This months dinner fundraiser is on Tuesday February 26th from 5pm-9pm at the Chipotle on Shaw Ave in the Sierra Vista Mall. 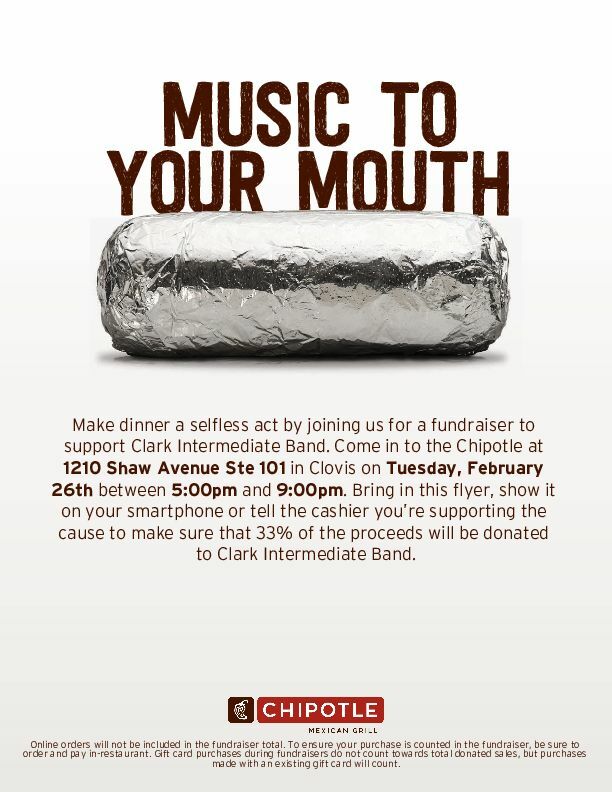 Please consider having dinner that evening their and supporting our music program. Even if you cant eat there that night you can help by spreading the word!